To learn more about the art of nature and outdoor photography, sign up for our free, online class with Art Wolfe. Whether you need something to read by lantern light in the tent after a lengthy day of hiking, or you’re a tenderfoot who’s just getting started down the path of an outdoor photographer, reading up on the subject — and related subjects — is a smart idea. 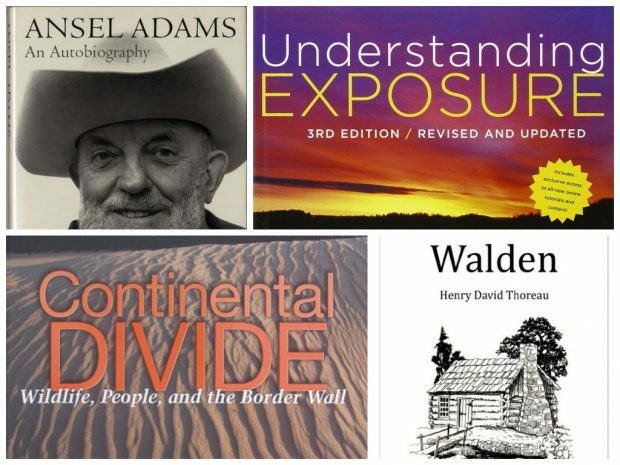 From understanding the technical elements to learning how better to survive in the wild, these are the must-have books to add to your reading list this summer. Mountain Light, by Galen Rowel: This incredible read was sadly out of print for some time, but was recently reissued to celebrate its 25th anniversary. Though it’s not exactly new, Mountain Light is still 100% relevant for outdoor photographers. In the book, Rowel not only explains how he captured his dramatic images of mountains, he also details what he was going for — which is a really cool look behind the curtain. Continental Divide: Wildlife, People, and the Border Wall, by Krista Schlyer: This book won the 2013 National Outdoor Book Award, and for good reason. The NOBA board called it “one of the most important works on nature to be published this year,” and notes that “author Krista Schlyer reports on what’s been forgotten” at the controversial wall between the U.S. and Mexican border. It’s a good reminder that outdoor photography can be deeply meaningful and maybe even incite change. Understanding Exposure, by Bryan Peterson: Our CEO Chase Jarvis always says the best camera is the one you have with you, and with Understanding Exposure, you can learn how to put it to work. This is a great book for beginners, but even old-hand outdoor photographers might learn a thing or two from this recently-updated classic. 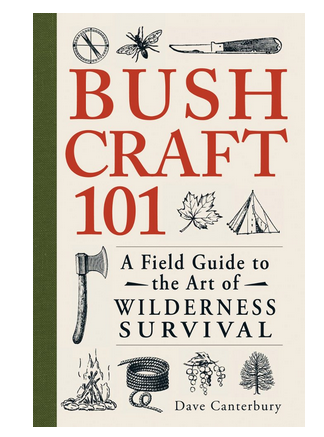 Bushcraft 101: A Field Guide to the Art of Wilderness Survival, by Dave Canterbury: You don’t need to be an Eagle Scout to head into the woods safely, but doing a little reading on how to make a shelter and what to eat in the woods is a good idea, because sometimes things go wrong, and all outdoor photographers should be at least a little skilled in survival. Ansel Adams: An Autobiography, by Ansel Adams: Arguably the best-known outdoor photographer in America, Ansel Adams wrote this book shortly before his death. A reflection of a 60-year-long career as a conservationist and teacher, it’s a humbling read. Seven Summits: The High Peaks of the Pacific Northwest: The majestic beauty of the Pacific Northwest is hard to capture, but Art Wolfe manages in this gorgeous book. Author Michael Lanza lends a great deal of additional information, too, which makes this both a beautiful and informative read. This is just one of Art’s many, many books — check out his full store to see the rest, all of which are lovely and compelling reads. Oh, and did you know that Art is a CreativeLive instructor? Walden, by Henry David Thoreau: When you tire of reading about lenses and lighting and politics, take a break to remember why you’re shooting outdoors in the first place: Because nature is amazing. Thoreau understood that.